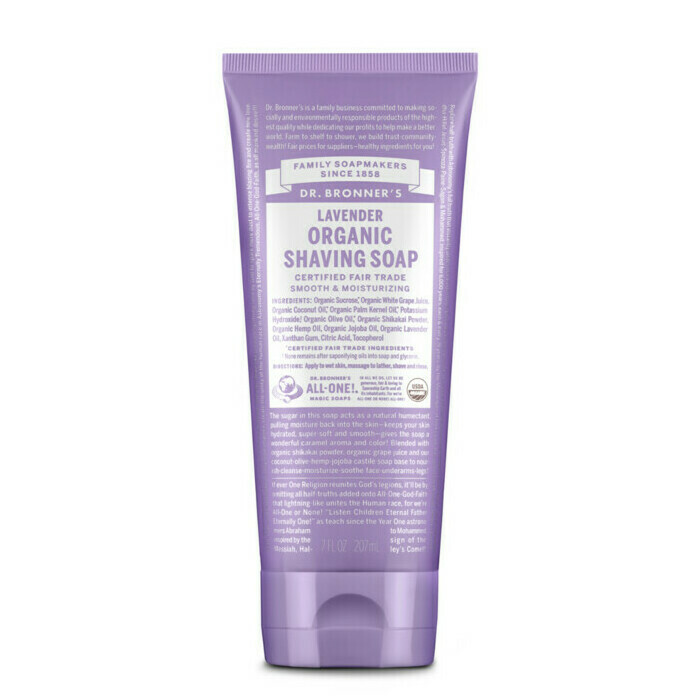 Dr Bronner's Organic Lavender Shaving Soap is a refreshing and moisturising soap that will leave your skin feeling enlivened and fragranced with the bewitching scent of lavender. 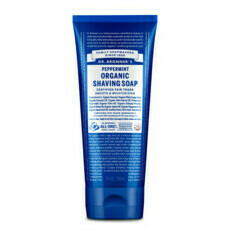 The gel will feel soft and light on your skin and the lovely lavender scent makes it ideal for women. 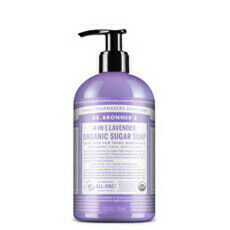 Dr Bronner's Organic Lavender Shaving Soap is made with many natural ingredients including organic Shikakai from the South Asian tree Acacia Concinna, organic lavender oil and organic coconut oil. This natural shaving soap is also a certified fair for life product and USDA approved. 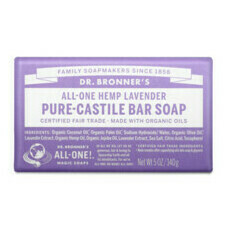 ***The Palm oil used in these soaps are certified that no rainforest habitat or wildlife is harmed. Certified under IMO’s “Fair for Life” program, the most rigorous fair trade and sustainable certification in the world. Simply squirt a small amount onto your hands (about the size of a 10 cent coin) and rub them together to create a good lather. Apply to the area you would like to shave and rub into the skin, further enhancing the lather and preparing the skin for a good, clean shave.